As the excruciatingly long wait for the North American release of Gareth Evan’s Indonesian action extravaganza The Raid continues, plans have already been announced for both a sequel and a Hollywood remake. Meanwhile, many of us stateside continue to salivate over the red band trailer that got released a few months back (you can read my review here). A new extended trailer got released recently, which contains much of the same footage as the first. It was originally shown at the Indonesia International Fantastic Film Festival. Gareth Evans posted it on his blog yesterday. It shows a bit more graphic violence and boasts a new musical composition by Fajar Yuskemal and Aria Prayogi. It again emphasizes the insanely kinetic energy on display in the various fight scenes and shoot outs. Though it offers only minor differences from the red band trailer, it still demands countless viewings by any self-respecting adrenaline junkie. Such well-crafted carnage goes a long way in satiating the collective longing for the heyday of Hong Kong action cinema. Screen Gems needs to get this into North American theaters and then onto Blu-Ray ASAP. 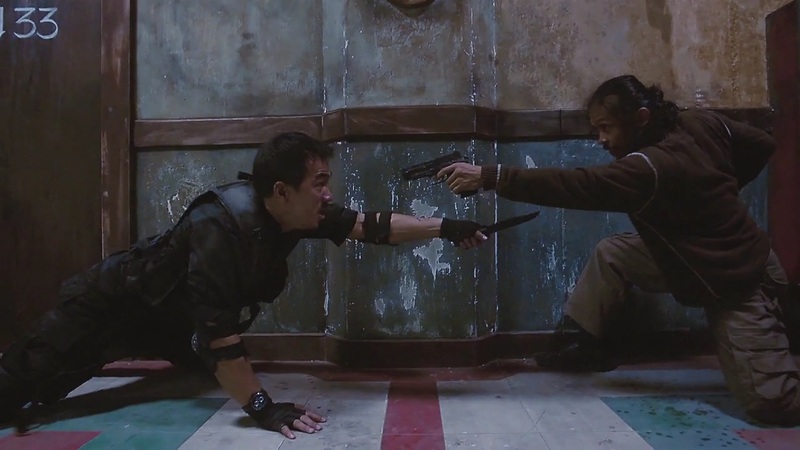 The Raid Trailer v.2 from Merantau Films on Vimeo. Thanks for the update. April does seem like a millenia from now. I'd love to see this in the theater.